Once again the weekend has come and gone in the blink of an eye. I got the majority of my stuff knocked off the list but there's always just a few more things that could get done if I had another day or two to finish up my list. Yesterday we woke up to rainy and gloomy skies. It was a glorious day anyway in our household because both kids slept in until after 8. Thank you Jesus. My parents came into town for the weekend. We hadn't seen them since July when we stopped briefly in town on the way back from our family vacation. Cohen was absolutely thrilled to be able to spend time with them. And let's be honest, do you really know any grandparents that come empty handed when visiting their grandbabies? 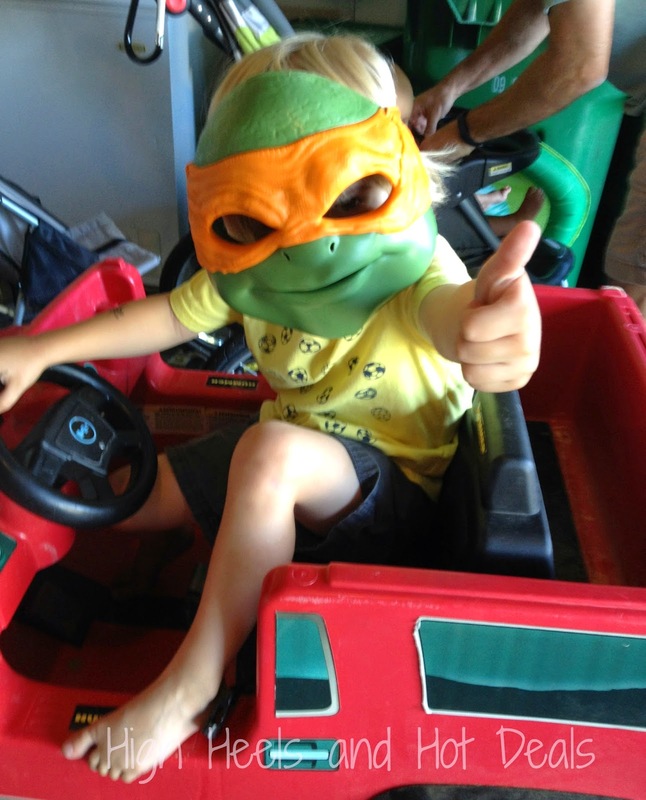 Mikey in a Hummer -- cowabunga dude. 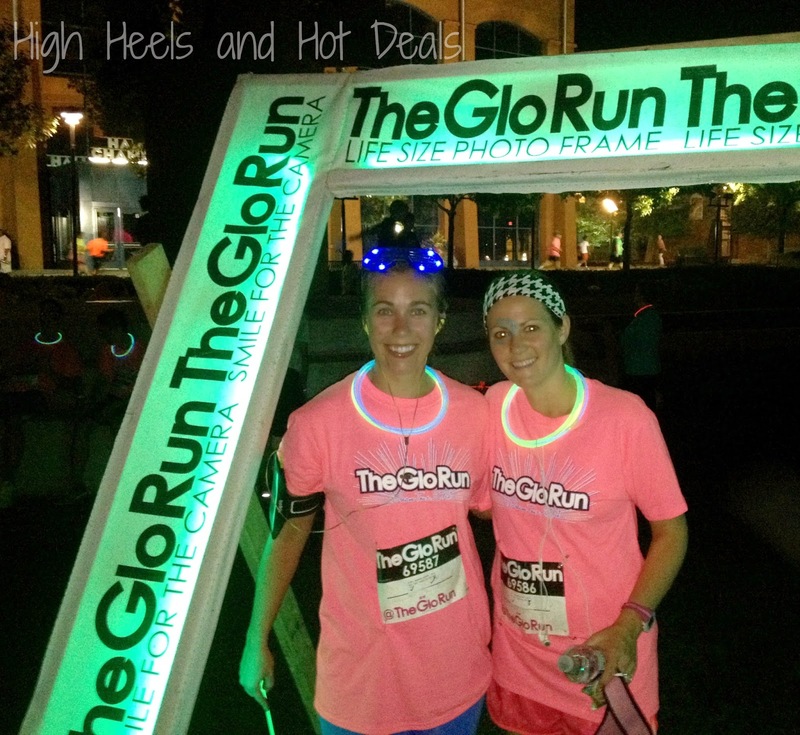 Later that night my friend and I met up to run the GloRun downtown. It was pretty cool running at night however this was not the race to try to work on your time. If I got a $1 for every person I got stuck behind blocking the path because they were taking a selfie mid race I'd have enough to buy a new house. I get it. It was dark. It was night. There were glow sticks. But next time peeps how about you find a place to take your selfies when there isn't a path that is about 4 feet wide with thousands of people trying to get through all at once? I then rewarded myself with a Summer Shandy and a piece of Jet's pizza post race. Then I spent all day Sunday doing laundry and catching up on my ridic Lifetime movies. Oh and I got to hang out with this cute face all day long. 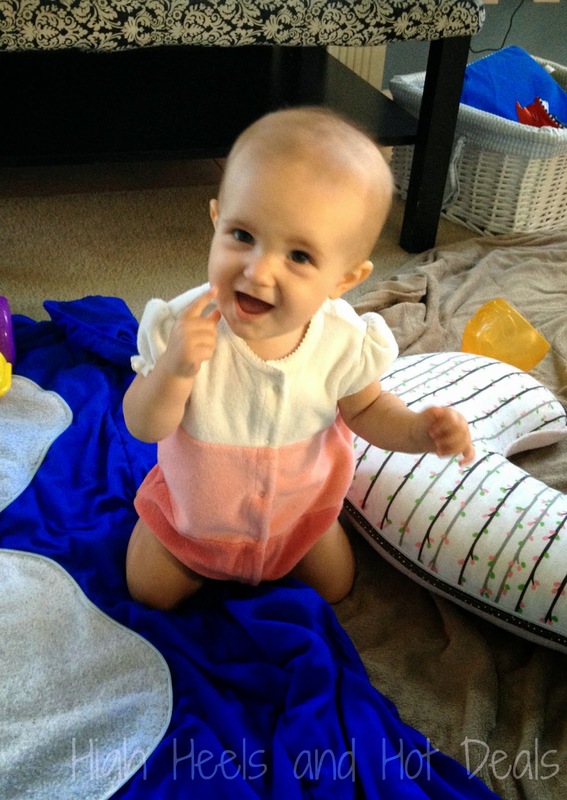 Princess Pie Pie is finally cutting those top two teeth. I mean it has only been four months since she cut the bottom two. I may have started to think that she was destined to be the toofless wonder. She proved me wrong, thankfully. Now it is way past my bedtime and I'm sitting here trying to push away those Sunday Blues. Why do you go fast weekends? What did you did this weekend? I feel you.... why o why weekends do you go so fast! I agree, weekends are too short! Looks like you all had fun. We had a bbq at our home then Sunday football today. I did a similar run last year - the Electric Run. It was super fun! My daughter and I just did a color run this weekend. So fun to have her come with me! I love that mask. 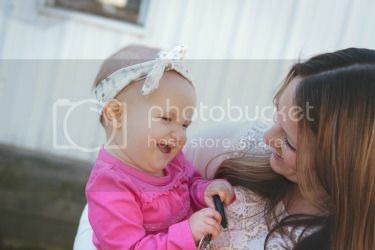 Way too cute. Seriously, weekends do fly by. I totally hate that! I can't believe people are so clueless in the race as to block the path when taking their pics. Rude!